Samsung Electronics today announced a collaboration with Microsoft on open source projects, such as .NET Core and Xamarin.Forms, to enable .NET support for Tizen. Tizen is an open source operating system based on Linux, hosted by the Linux Foundation, and open to all developers. The operating system powers 50 million Samsung devices. 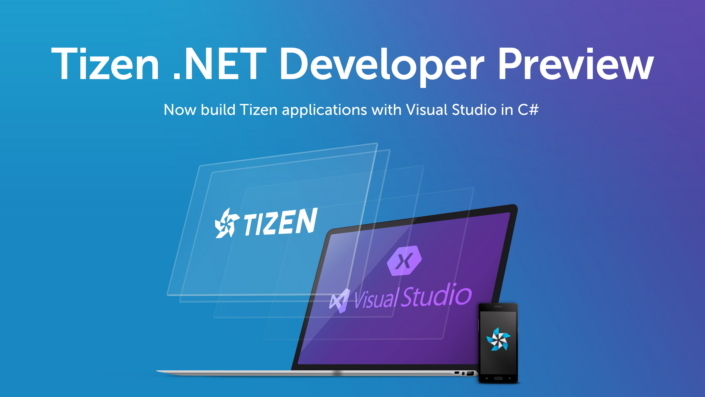 Today, Samsung is releasing the first preview of Visual Studio Tools for Tizen, which will enable .NET developers to easily build Tizen applications for Smart TVs, wearables such as the Gear S3, smartphones, and IoT devices. Source code will also be contributed to Tizen and .NET open source projects. The first preview supports mobile application development with device emulators and an extension to Visual Studio with full IntelliSense and debugging capabilities. Support for Smart TVs, wearables, and other IoT devices will be added in future releases. Tizen’s .NET support will be officially released and shipping on Samsung devices, including Smart TVs, in 2017. Since joining the .NET Foundation Technical Steering Group in June, Samsung has been contributing ARM support to .NET Core. Samsung is also contributing to Xamarin.Forms, enabling it on a variety of Tizen devices as the common UI and controls.